Ridiculing the Aam Aadmi Party (AAP) for seeing a ‘Kejriwal effect’ in the decisions taken by the Amarinder Singh government, the Punjab Congress on Sunday said the opposition party should stop indulging in senseless behaviour to remain in limelight. Reacting to comments by AAP leaders that key decisions are taken by the Punjab government, including the move to ban beacons, were a result of the new form of politics, a state Congress spokesperson asked where the so-called ‘Kejriwal effect’ had disappeared on the voting day. It is obvious, claimed the spokesperson, that having failed to have any effect on the electorate, AAP is now desperately looking for some face-saving by indulging in senseless gimmickry. Rather than work as a constructive opposition, the party appeared to have adopted a policy of negation, he said. Responding to a statement by AAP leader H S Phoolka that the cabinet decisions were prompted by the “moral pressure” mounted by Arvind Kejriwal during electioneering, the Congress spokesperson said the opposition party leader had not even bothered to check out the Congress manifesto. The AAP’s only interest seemed to be in remaining in the public glare in a frustrated effort to revive their party’s fortunes, which had taken a massive hit after the poor show in Punjab and Goa polls, the spokesperson claimed. By trying to take credit for some of the Cabinet’s key decisions, including removal of red beacons from vehicles, AAP has not only shown political naivety of the highest order but has exposed itself as a superficial party with no sense of commitment, he added. 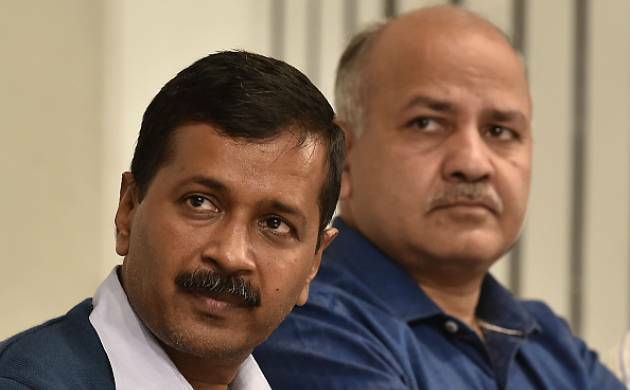 on Saturday, Delhi Chief Minister Arvind Kejriwal had also sought to take credit for the Punjab government’s move to ban beacons on government vehicles and said the decision was taken due to AAP’s new form of politics.